The Middle East’s tragic tale of two cities—Aleppo in Syria and Mosul in Iraq—speaks to a fundamental lack of consensus in the region  and within the broader international community. The lack of order in the international order is greatly complicating the task of bringing these conflicts to an end. When the bloody conflict finally ends in Syria, there will be no victory parades, no moment of national catharsis. More likely than not, what there will be is a political arrangement that leaves Syria within its current borders but with local autonomy that reflects the diversity and—at least for the time being—the mutual distrust of its various ethnic and religious groups. No one will be happy. The accoutrements of a civil state do not exist, and there are no institutions around which to build social consensus or the rule of law. Until these broad principles can be articulated, the war will never be truly over. Ceasefires work best—and hold the longest—when the combatants finally understand that a set of principles agreed by the broader international community will be the basis for shaping the future of their country. The Syrian war  is not unprecedented in the region. The Lebanese Civil War was even longer: from 1975 to 1990, that war produced a similar number of casualties and refugees, and when all is said and done, probably a similar number of unsuccessful ceasefires. The Syrian civil war is not yet even half the length of that horrific struggle; but nor is there any sign that the various combatants are fatigued by it. The international community will likely be affected by Syria’s civil war more than it was by Lebanon’s, owing to its greater global impact. The refugee tide was at first contained within the neighborhood, especially in Jordan, Lebanon, Turkey, and even Iraq. But soon refugees began to flow to Europe and elsewhere, causing political tensions in countries far removed from the conflict. The huddled masses of refugees crossing one European frontier after another soon became a metaphor for what angers so many Europeans in this globalised age. One longs for the day that Kerry and Lavrov emerge from a negotiating room to announce to the world that they have agreed on a set of principles that will guide Syria’s future and will work to achieve consensus among other members of the international community and with the combatants themselves. Only when the combatants can envision the post-war future can a ceasefire work. Nobody wants to be the last person to die fighting when the future is already known. 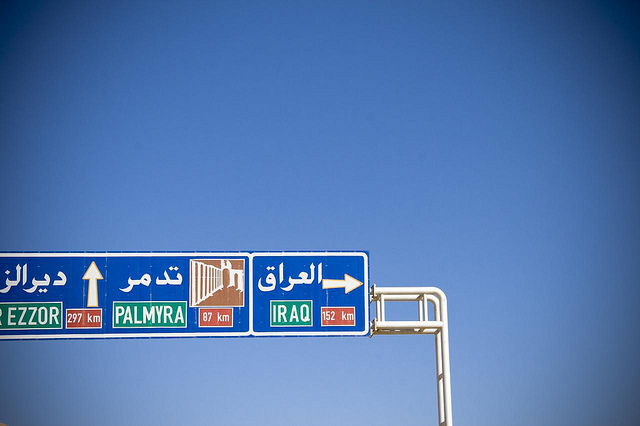 As if the Sunni-Shia divide within Iraq were not difficult enough, a deeper and even more problematic fissure has now emerged—Turkey’s own struggles with its identity and its externally imposed borders. The extraordinarily harmful statement by Turkish President Recep Tayyip Erdoğan that his country has not reconciled itself to its 100-year-old southern border with Iraq’s Ninewa Province has greatly complicated Turkey’s ability to play a role in Iraq’s healing process. Arabs have long harbored deep suspicion that the Turks want more than just to protect the Turkmen minority and Sunni Arabs in the conflict. Now, Erdoğan has confirmed these suspicions, and in so doing has created conditions for more violence in Iraq. Christopher R. Hill, former US Assistant Secretary of State for East Asia, is Dean of the Korbel School of International Studies, University of Denver, and the author of Outpost. This article is presented in partnership with Project Syndicate © 2016. Image courtesy of Flickr user Marc Veraart.